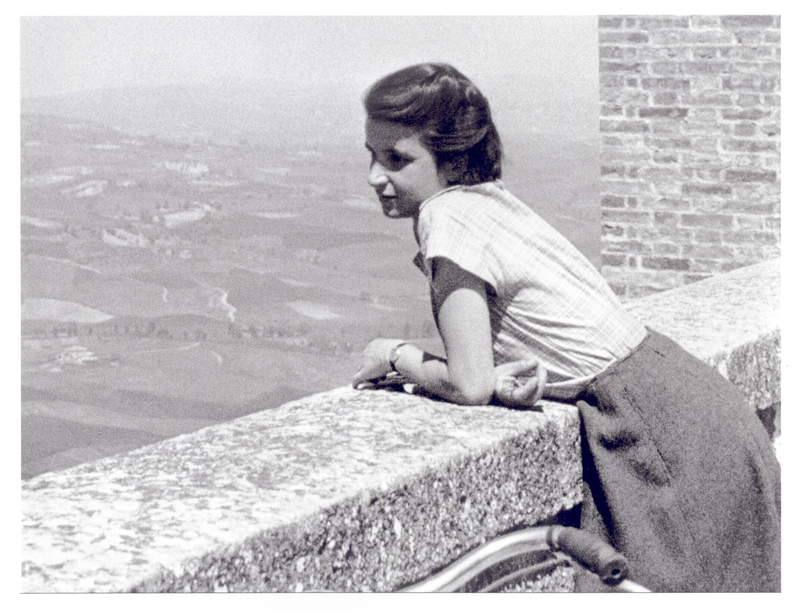 Rosalind Franklin ignored the rules (and her father’s wishes), and made major contributions to the scientific community during her short life. Applying Unspoken, I close my eyes, inhale deeply, and focus on the fragrance wafting up from my wrist. Before I can open my eyes again, an elegantly manicured hand has reached out and, grasping my wrist, transports me to a time when the Chypre was brand new. This Roja Dove creation may smell vintage, but it is not dated. This is not a scent that looks back, but forward. Potent waves of sweet fruit, then raspy ginger, hover over me, and I see the clean lines of a skyscraper reaching for the clouds; cool, smooth steel stretches towards heaven for the first, but not last, time. I look forward, from my suddenly well-coiffed self, and I know in my marrow that someday a woman will be president. That someday Woman will have the freedom to pursue and earn an education at any of the top universities, to achieve power, and to wield influence beyond the laundry room. Unspoken takes me to a place of fierce determination, of hope, of elegance. It’s liquid strength for a woman making it in a man’s world. £215 (that’s $337.597 USD at time of writing) for 100mL EDP at Roja Parfums. Love this post! Must smell Unspoken!!! I second this. Wonderful! But that price tag is a big ouch isn’t it? Lovely review, Dee! And I love the image you chose..
I’ve been craving chypres(fruity, leathery,green) – must try this one. I had forgotten that M was a Roja Dove creation! You’re right, it is so well-rounded and balanced— hard to resist. Even though Unspoken comes from a very different angle, the high level of sophistication marks them both. Speaking of lemmings, I have samples of the other two from this series, and I’m considering NOT sniffing them at all! This one sounds like all kinds of awesome! Nick reviewed it for Fragrant Reviews and I’ve been interested every since. Thanks for turning my interest to MUST TRY THIS! The only Roja Dove I’ve tried has been… wait, which was it? The rose-tuberose one that TS calls “preposterously intense” and “enormously rude.” I found it neither and was disappointed. That was Scandal, no? Have been very drawn to chypres lately. Don’t know why. Just yesterday I received my little bottle of Liz Zorn Centennial, and a sample of Love Speaks Primeval. Swooony. And yes: someday there will be a woman in charge of this country, and she will do an Awesome Job. Oh I think women have had influence beyond the laundry room for a long time, but not in all sectors of society, or all cultures. So there is still a long way to go. Where I live, there is a female Prime Minister AND a female Governor General – unprecedented. Even more interesting – the female PM has no children, has apparently never wanted any, and is not married to her partner. And no-one seems too worried about that. A colleague of mine once told me that she wears Mitsouko – a famous chypre – b/c it makes her feel ‘strong’. People say that about Chanel No 19 too (is that a chypre?). I wonder if women draw strength from their perfume, clothes and grooming, more than men? Because they need it more than men? Anne-Marie, you forgot, I went back in time! LOL, I was worried about that interpretation 🙂 Of course, women can now attend any university they choose as well, and can and do wield power and influence. I still feel pretty shaky nailing down what “chypre”means—what with so-called modern chypre’s being so… not what I was expecting. Unspoken was for me, the first time wearing a perfume and having the, “Aha! Chypre!” moment (my explorations in the genre have been minimal). We all draw strength from our accoutrements, I think, whether man or woman. You know, cavalry uniform jackets were cut so that men couldn’t raise their arms in surrender—there’s a strength in knowing that you can’t surrender, even if you wanted to! Perfumes can be like that, too, I think. You are right about dress and empowerment. We could talk endlessly about that. Sometimes I ask myself – am I a Chanel admirer (all those easy fitting, corset free clothes) or a Dior admirer (the pinched in waists of the New Look – not much empowerment there). Chanel surely. Dior is for looking at, Chanel is for living in. I’m glad you are enjoying the Dove. I liked the review and for me it didn’t sound confusing. I am curious to try these and I will at some point… but… I have to ask: for you, not objectively as for a reviewer, but as a wearer, is this one as good as your favorite Amouages? Since it’s in that price range, I asked myself the same question. And my answer is… that I don’t have one yet. Though, it’s worth pointing out that the only Amouage that I fell for immediately (and thought worth the $280 price tag) was Memoir. Even Opus IV, which might even top Memoir, took some time before I truly fell in love. I do think that Unspoken is in the same stratosphere—whether it will sit next to Memoir (and Poivre 23, and someday soon Opus IV) on the “top shelf” remains to be seen! I’m sorry that this is turning into such a long comment, but, hey, you asked! So, to finish my thought—Unspoken is one of those rare fragrances that truly takes me somewhere, tells a tale, inspires, AND smells beautiful. That’s quite a resume! Oh how the Rosalind Franklin story makes me endlessly furious. I plan to study perfumery, but I also intend to receive my master’s degree in genetic counseling. Genetics has been my passion for many years, and it truly grieves me that almost nobody knows that that utter prick Watson would have never figured out the double helical structure of DNA without Franklin. They stole her work and left her without even so much as a posthumous Nobel. Hi. I recently found a person’s web site the application of msn. This is usually a nicely created post. I’ll be absolute to save them along with return to find out added of your information. Appreciation for this publish. I most certainly will definitely come back.